Afghanistan selected preferred bidders for three gold and copper mines in 2012. It took the war-torn nation six years to finally sign the contracts. The nation is losing mining revenue to militants and armed illegal miners. The large scale looting of the resources — which in 2010 the Pentagon said could be worth $1 trillion — and the country’s inability to secure the assets means Ghani’s government has to depend on aid from the U.S. and other nations to provide services to its citizens and fight insurgents. The administration raised just $92 million from the mining industry last year. Afghanistan “disengaged” from contract negotiations in September 2013 because of the presidential election process but contacted the companies in July 2018 for re-negotiations, said Mansoor Sadat Naderi, a shareholder of Afghan Gold Minerals Company and Afghan-Turkish Mining Company, and an ex-Afghan minister of urban development and housing. “These projects will both individually create several hundred jobs once exploration starts,” Naderi in an email. Their economic impacts are “much greater than their employment numbers” and include building roads, energy supply, clean water supply, human health services and building schools. Previous contracts including one to mine copper signed in 2007 with a group led by state-owned Metallurgical Corp. of China Ltd. have stalled. Ghani blamed the contract as “vague,” which led to a misunderstanding between the parties. “In order to avoid the resource curse, Afghanistan needs to stop illegal mining through a combination of law enforcement and tendering of small and medium contracts with significant community benefits and transparency,” said Mohamamd Naser Timory, a senior member of Integrity Watch Afghanistan, which monitors the nation’s mining sector. A new mining law introduced by Ghani’s administration will significantly reduce red tape, increase transparency, and help attract investors, Qadeer Khan Mufti, a spokesman at the Ministry of Mines and Petroleum said by phone. In September, the government awarded a 30-year contract to explore and extract gold at Badakhshan — near the nation’s border with China — to Turkish-Afghan Mining Co., a consortium that includes Turkish company Eti Gumus AS, an Afghan mining company owned by Naderi, and U.S.-based Centar Ltd.
Eti Gumus owns 51 percent of TAMC, Bradley Barnett, CEO at Centar, said in an email. Centar and Naderi’s company also won another 30-year contract to explore and mine the Balkhab copper deposit, which is about 250 miles north west of Kabul. The company expects to start initial production a year after they begin exploration in early 2019. The companies will have to deal with security threats to the projects. The Taliban makes millions of dollars per year from mining talc, chromite, and marble in Nangarhar province alone to fund its insurgency, according to a report from Global Witness. Some mineral-rich areas are controlled by the Taliban and Islamic State. Afghanistan awarded the third mining contract for the Shaida copper deposit, estimated to have 5 million tons of the metal, to an Afghan-registered Silk Road Mining and Development Pvt. The firm will invest more than $20 million for three years during the exploration stage of the reserve before it starts its extraction for a maximum of 30 years. The company will pay 6.1 percent royalty for the copper deposit and 5 percent for other minerals if discovered. 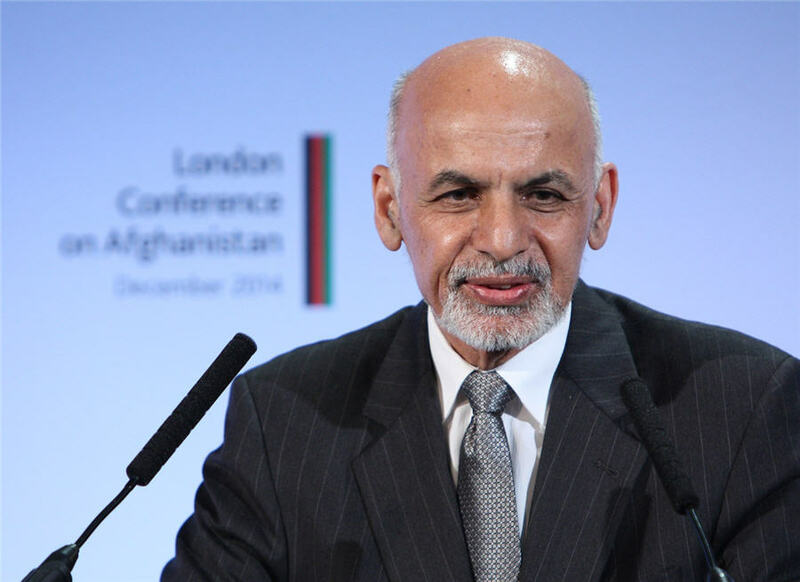 “We are really now ready to take the jump forward on securing major investments,” Ghani said.